Dramatic footage captured on a cell phone of passengers on an American Airlines flight bracing for an emergency landing is going viral online. 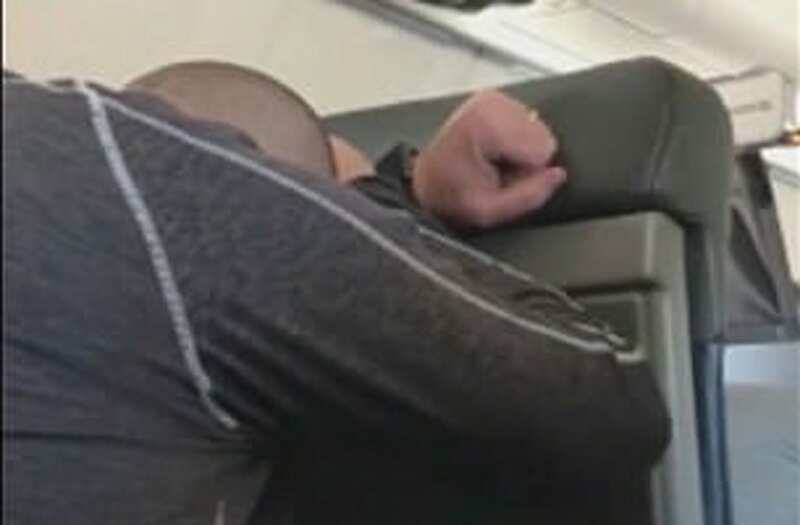 Steve Ramsthel, one of the pilots aboard the Wednesday flight, recorded the horrifying moment he and other passengers were instructed to brace for impact after the plane was discovered to have mechanical issues. According to ABC News, the flight was being operated by Mesa Airlines, the regional company affiliated with American Airlines. The plane was traveling from Phoenix and eventually landed safely at the Dallas/Fort Worth International Airport. Ramsthel told KNXV that he could smell smoke during the flight. "There were some people crossing themselves, but I thought the adrenaline was high and everybody just cooperated," Ramsthel told the local station. "It was pretty amazing to be honest with you." Ramsthel, who is reportedly also a certified pilot, told reporters that passenger were able to remain calm during the incident and that the airline crew handled the situation very well. According to the airline, the plane has since been inspected and is back in service.